After a week of eating out and consuming heavy foods with my family in town I needed a reset, and so did my body. I was fighting off a stomach bug and although I was trying to keep it bland I also wanted to try and sneak in wahtever nutrients I could so I figured this simple summer meal would do the trick. I love eating dinners that are satisfying but leave you feeling light, and full of goodness, not lethargic and full of regret. And this is exactly that meal. 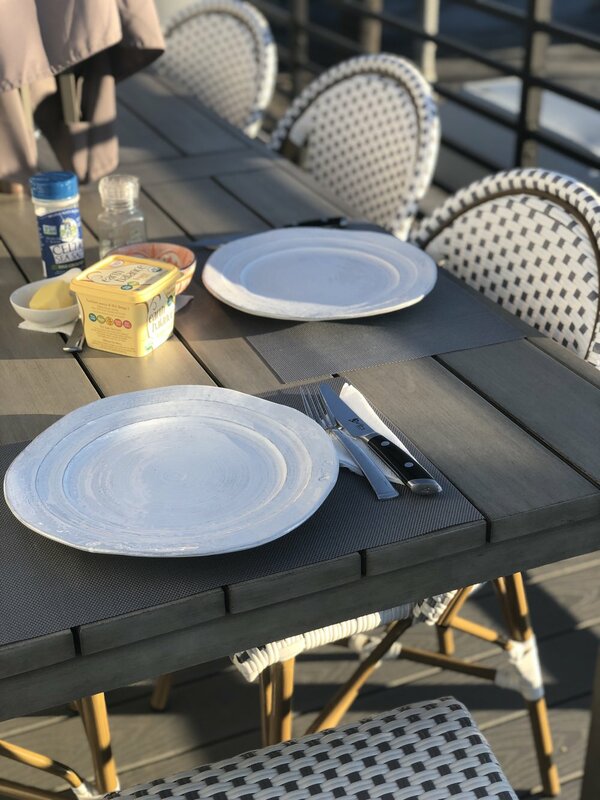 It's Whole30 Approved and can be made indoors or outdoors which is the best part about it, it's a yearround meal despite the fact that we ate on a perfect night al fresco. Place each filet on a piece of foil, then drizzle with about 1/2 tbsp oil, 1/4 of a lemon worth of juice, and a sprinkle of lemon pepper or your favorite seasoning. 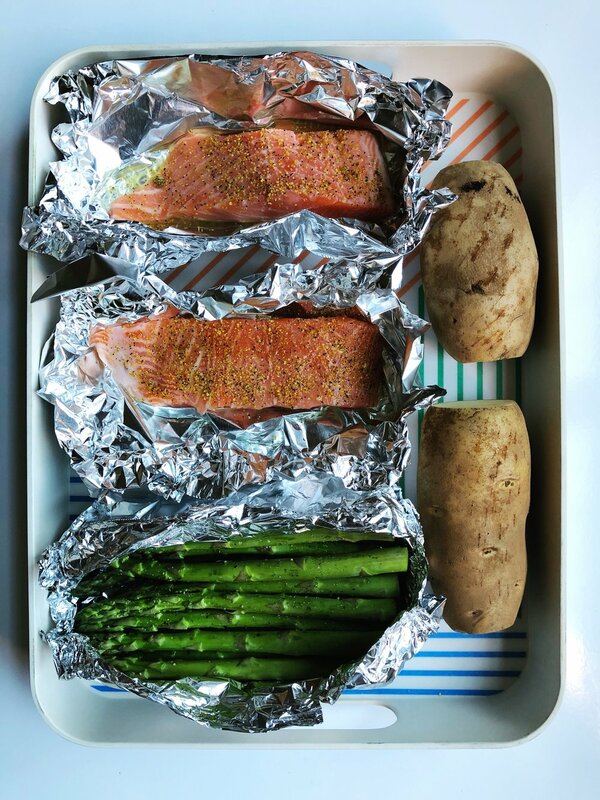 Wrap it up in the foil and grill for about 12-15 minutes or until it's cooked to the temperature you prefer. In the oven, I would recommend 425 for about 10-12 minutes. Cut off the ends and give them several pokes or slices. Then pop them in the microwave for about 8 minutes to heat up. Drizzle with a tsp or so of oil and wrap in foil tightly. Then place on the high rack of the grill at about 400 degrees for 45 minutes to an hour to cook through fully. You can do the same thing with sweet potatoes but they might take a little less time. You guessed it, oil and a foil wrap! Add some salt & pepper and on the grill they go for about 12 minutes, depending on how thick they are, be careful they can overcook quickly!